Early this morning, Bloomberg reported that Samsung doesn’t let users uninstall the Facebook app from some of its phones. 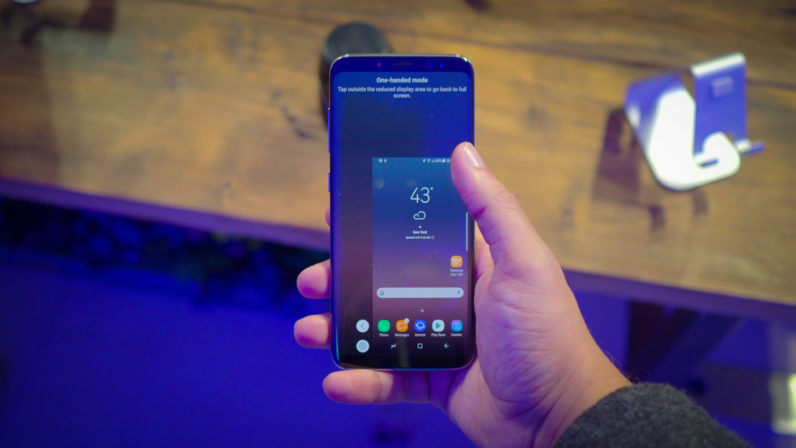 The story states that Facebook’s app comes pre-installed in select Samsung devices and users can only disable it, but can’t delete it from their phones. However, that’s not the whole picture. The pre-installed “Facebook app” on these Samsung phones is merely a placeholder which prompts users to download updates to the main Facebook app. Basically, you can’t use or log in to Facebook unless you decide to update the placeholder app. The stub is actually the Facebook App Manager/Installer, which is different from the main Facebook app. App researcher Jane Wong also tweeted that said app is just a non-functional shell. So, until you launch the stub and update the app as prompted, the Facebook stub won’t collect any data from your phone. A Facebook spokesperson told Bloomberg that the disabled version of the app acts like it’s been deleted, so it doesn’t continue collecting data or sending information back to Facebook. TNW tested this on a Samsung Galaxy A9 and found that the disabled app does nothing but prompt you to install an update in order to use Facebook. If you just want to be sure that there are no traces of Facebook on your phone, follow this procedure to disable the stub. We’ve reached out to Facebook and Samsung to learn more and we’ll post updates accordingly. While there’s not much to worry about if you’re a Samsung user, the company should’ve communicated this in a better way given there’s so much doubt regarding anything Facebook these days. Plus, it’s really annoying not being able to get rid of the Facebook icon from your phone.